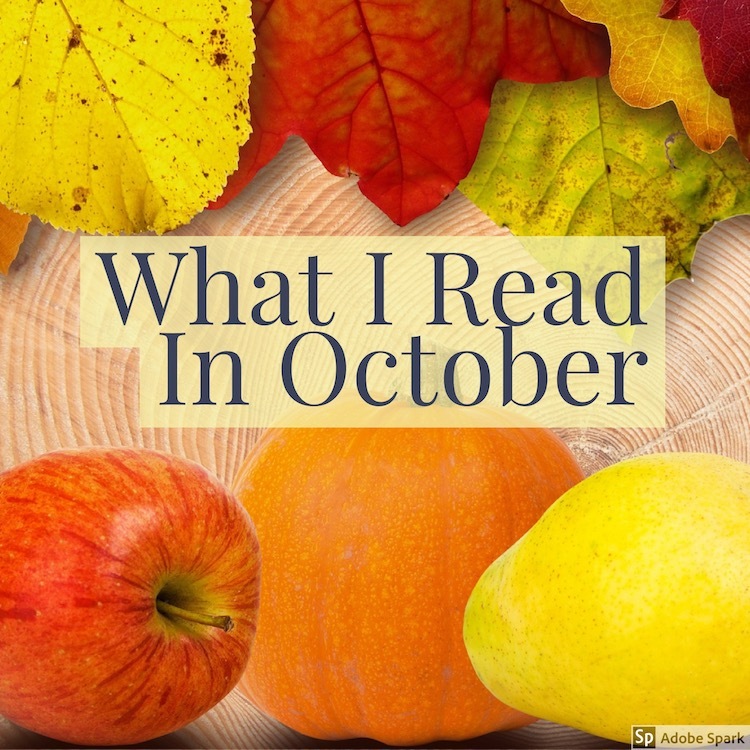 October is the first month of this year so far that I haven’t DNF-ed a single book! Every book I finished this month was powerful in its own way and enriched my life in some way. I can’t say that very often! After reading Alexie’s stunning memoir in September, I was inspired to read more of his works. I expected to fly through this short book, but that wasn’t the case. Although the poems and stories are each brief, I found I couldn’t read more than two pieces at a time without needing to stop, to process and contemplate what I’d read. Alexie is able to say a great deal about Indian culture without using many words. His writing, as always, is vivid and lyrical. If it weren’t for a recommendation from a stranger at the library, I wouldn’t have chosen to read this book. I was expecting superficial chick lit but it’s much more than that. 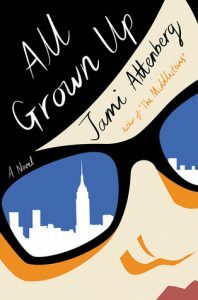 Sometimes funny, sometimes sad, this is a strikingly honest look at a woman’s life from her point of view. 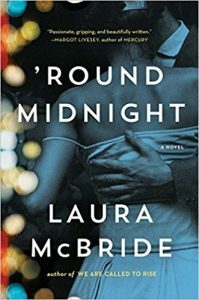 The writing style is unique and took some getting used to, then I found it absolutely wonderful. I thought I’d read this collection of 68 brief poems in one sitting, instead it took many sittings over three days. 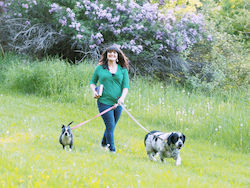 The author goes out of her way to be clear she used her imagination to create these fictitious monologues which come from points of view of people and inanimate objects involved in Matthew’s murder. While I expected this book to be sad, that word doesn’t even come close to describing how I felt while reading these poems. Devastated is more like it. Also angry and heartbroken. The writing is concise yet vivid, emotional yet straightforward. 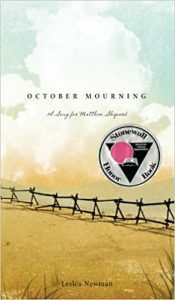 The scenes are imagined and they are based on facts, so while it wasn’t an easy thing to read, it felt important, as if I was doing my part in keeping Matthew’s memory alive. The premise of this book has a lot of potential but it fell flat on delivery. A young woman and her high society husband are cut off financially by his wealthy family. The husband then decides to they will travel to Scotland so he and his best friend can hunt the Loss Ness monster, to gain fame and return to his father’s good graces. World War II is raging, and the young woman experiences an awakening to the harsh realities of life. It’s an interesting story, it’s worth reading, but I was disappointed by the superficiality of the characters and their individual stories when the author could have developed everything much more. 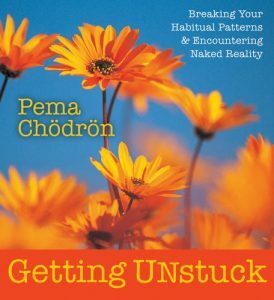 I have enjoyed Pema Chrodon’s teachings in the past and this was my favorite of hers so far. The idea of “staying with the itch” is intriguing, and I think exploring it will create some interesting and potentially major changes in my habits and quality of life. 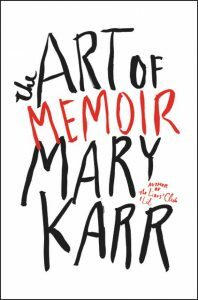 Mary Karr is my memoir hero! This was a re-read for me. I won a physical copy which I read about two years ago and refer to regularly. I listened to the audio book this time to experience the content in a different way, while I’m digging heavily into my own memoir writing. It was as if I were attending a lecture. 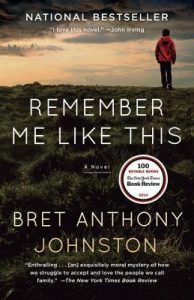 If you are interested in writing memoir, or if you love someone who is working on a memoir, this book is a must read. What I found most powerful and accurate is her explanation of how writing memoir is not a choice so much as a thing we are called to do. 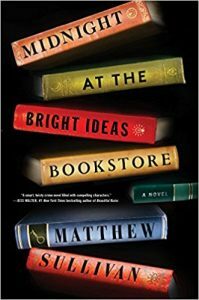 I loved this author’s first novel (We Are Called to Rise) so much I was afraid to read this one! I couldn’t help myself though and I’m so glad I gave in and read it now. 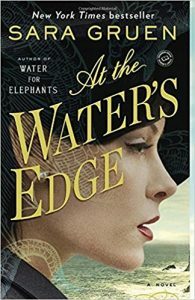 Just like her previous book, this is a gorgeously woven tale, the writing is gripping and powerful. 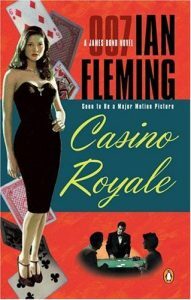 Again, the city of Las Vegas is a fully developed character, one who grows and changes throughout the novel just as the human characters do. This writer address weighty issues head on with grace and depth. As the life stories of these characters are revealed and intertwined, our hearts are warmed then broken then warmed again. It’s an honest, compelling story of life, love, and family. I wrote an entire post about this book a couple weeks ago, so I won’t go on about it much here. I received a TON of positive feedback about that post, so what I can say about this book is that it is clearly necessary. 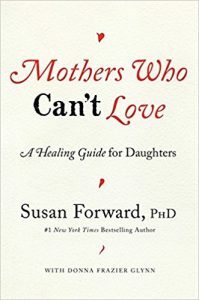 It opened my eyes to many ways to ease my suffering and I’ve already experienced a shift in my thinking about my relationship with my mother. This was a fun, easy read. Although I did have to keep reminding myself when it was written (first published in 1953) when I was shaking my head at some of the references to women. It was probably super awesome when it first came out, and it’s definitely worth the read. I’m going to continue the series for sure. This is a great mixture of literary fiction and mystery. It’s an interesting storyline with unique characters. It remained compelling all the way through, and I couldn’t wait to get back to the story when I had to put it down. I enjoyed how all the pieces came together. My only complaint is the narrator of the audio book was a female who did a horrible job with masculine voices. They all sounded like vintage mobsters. Otherwise the narration was decent. This is without a doubt one of the most powerful books I’ve ever read, particularly in the YA genre. While the story and characters are gorgeous on their own, Bahni Turpin’s incredible narration takes the book to a whole other level. It feels as if you’re listening to real life conversations and events. Starr is an amazing character, her voice is authentic, all of the relationships in her life feel true. Her pain and anguish are visceral and gut wrenching. I truly cannot imagine being 16 and feeling as if I’m betraying all of the men in my life because of the race of the person I love. This book can do important work in bringing awareness to the issues faced by today’s youth. As an adult white woman who has never faced fear and struggle as is described in this novel, it certainly increased my own awareness and compassion. The tension between black Americans and the police is handled with honesty and balance. Besides addressing hot button issues, this is incredible story of one young woman coming of age, and trying to find her true self, which is Universal. 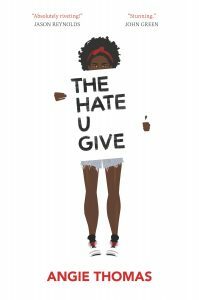 While this is a story of violence, race, and belonging, it’s also one of love, family, community, and understanding. I was completely engrossed in this novel from the very first page. I caught myself holding my breath during particularly intense times, waiting for the other shoe to drop. What I was expecting never came to be, which I found enjoyable. While there is a suspense component to the story, it’s ultimately about being human, being part of a family, making mistakes, being loyal. The characters react to their situations in genuine ways that resonate with me. There is a blurb from John Irving on the front of the paperback version I read, which is fitting because this novel has an Irving-eque feel to it. Things happen in life, the characters make the best choices they can at the time, then deal with the consequences. It is a painful story woven together beautifully and told in a touching manner. I was super excited for this book to be released this month. 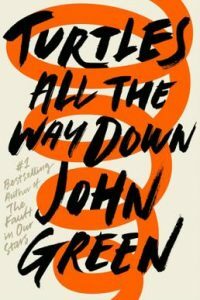 I wasn’t crazy about The Fault in Our Stars, but I’m glad it introduced me to Green’s work because I have enjoyed his earlier novels much more than the recent ones. While I didn’t exactly love the plot here, the reading experience was truly unique and the book is very well done. Our narrator is Aza, a 16 year old girl living with OCD. I imagine the narrative is spot on for someone dealing with thoughts such as hers, and her struggle is absolutely heartbreaking at times. The frantic pace of the narration aggravated my own anxiety, which I think is a sign it was well written! I don’t read a great deal of YA, so I can’t say for sure but I imagine this is a groundbreaking book on dealing with mental illness in young adults. It’s a great read.